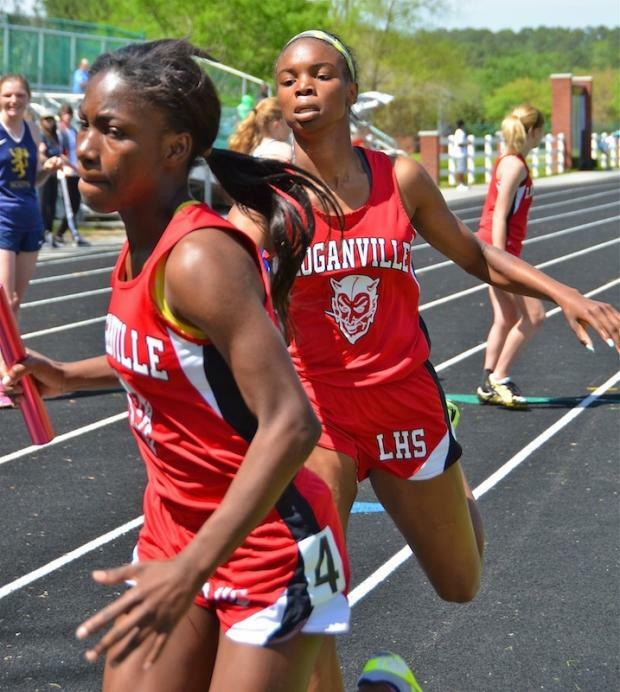 The Loganville Girls 4x100 Relay Team earned a convincing win, posting a time of 54.46. Galloway's Girls were second in 56.30, and Atlanta International School was close behind in 56.83. 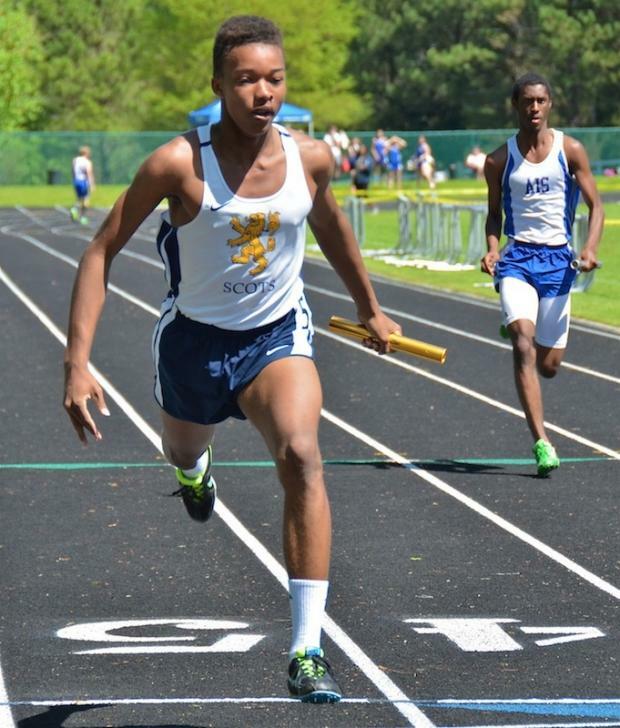 The Scots Boys 4x100 Relay Team gave 100% to win in a Season Best time of 47.38. The A.I.S. Boys earned second in 48.63, and The Howard School took third in 57.04. Helen Williams of A.I.S. proved she is well on her way to regain top form as she won the 1600m in a Season Best time of 5:12.39. 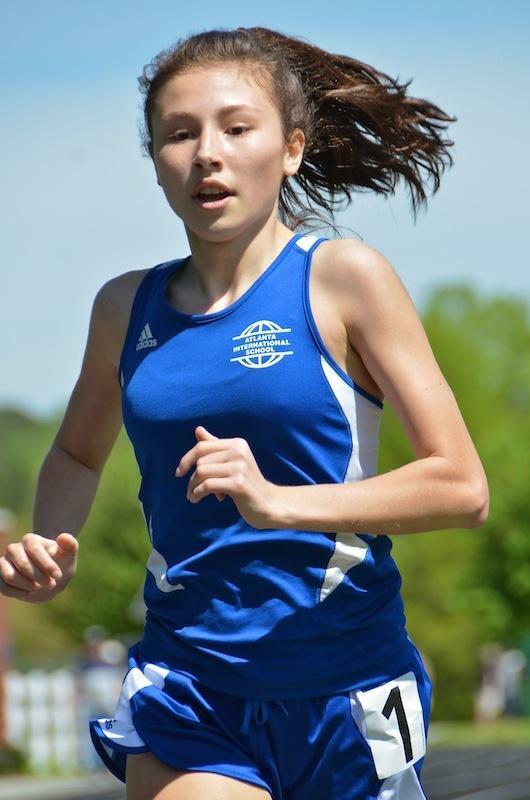 Galloway Freshman Sami Krinsky earned second in 5:49.62, and Melanie Bowden of North Oconee was third in 5:52.48. 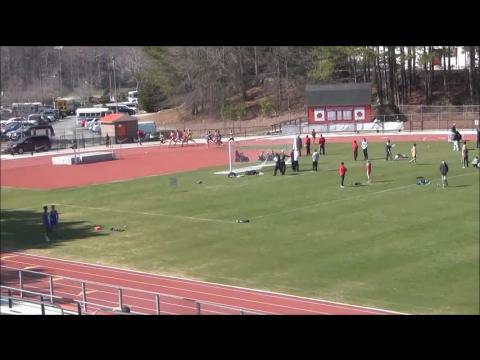 Harper Sigler (1) of North Oconee briefly had Satoshi Abe (10) of A.I.S on his right shoulder in the 1600m. Powerhouse Chandler Kennnedy (3) of the East Jackson Eagles was prepared to go to work. In the end, Sigler dominated in an impressive 4:24.98, Kennedy went 4:33.94, and Anthony Potts was 3rd in 4:37.40. 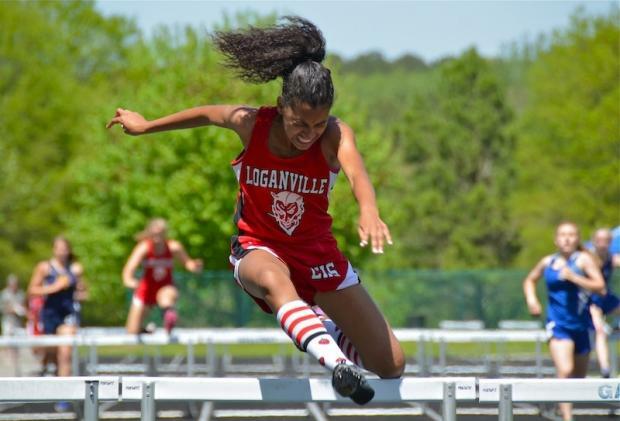 Ashley Devert led the Loganville sweep of the Girls 400m Dash. Devert posted a time of 1:00.27, Imani Arnold was second in 1:01.05, and May Mizell rounded out the top three in 1:07.20. 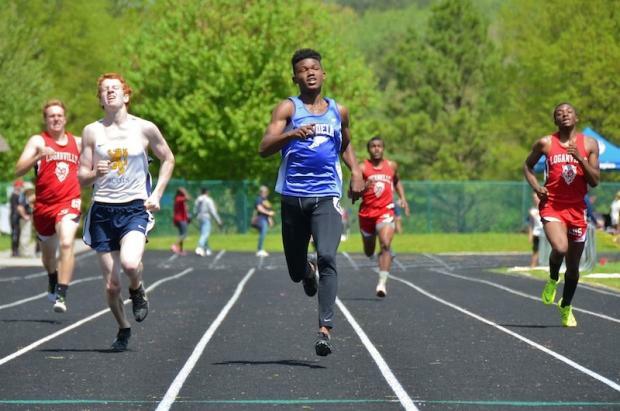 Freshman RJ Tookes of the Paideia Pythons ran a PR of 53.37 to win the Boys 400m. Bobby Odum of Galloway was a close second in 53.65, and Uduak Wilson of A.I.S. was third in 54.68. 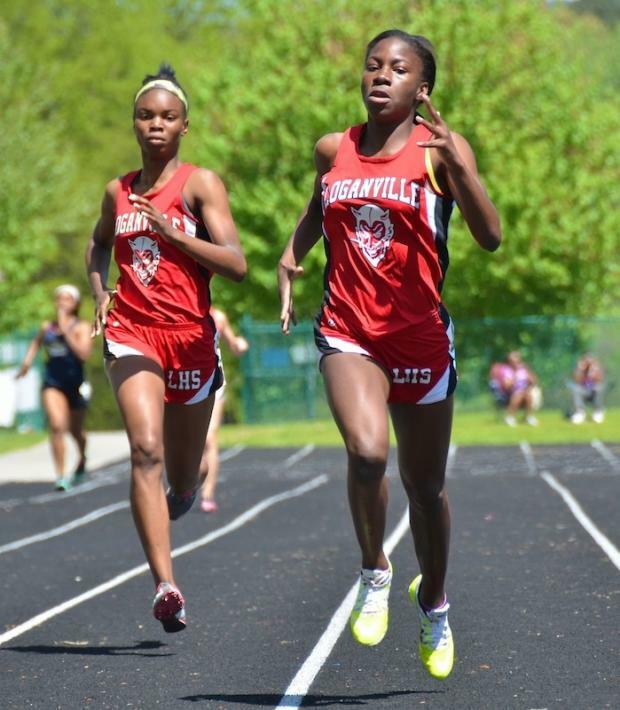 Loganville Teammates Shari-Lee Cullingford (right) and Ashley George dueled to a close finish, 17.00 to 17.18. The Scots' Hannah Shapiro rounded out the top three in 18.80. 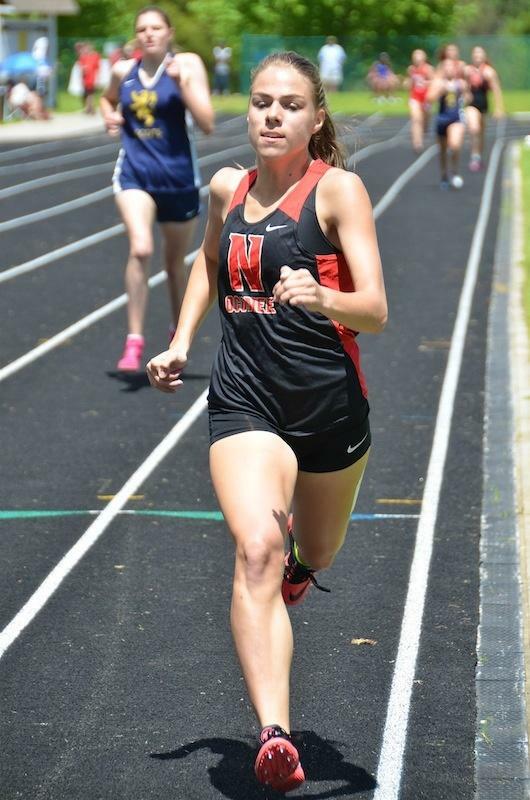 Hollis Brown of North Oconee earned the win in the Girls 800m with her time of 2:29.03. Galloway Teammates Caroline Henry and Sami Krinsky took second and third in 2:31.44 and 2:38.09 respectively. 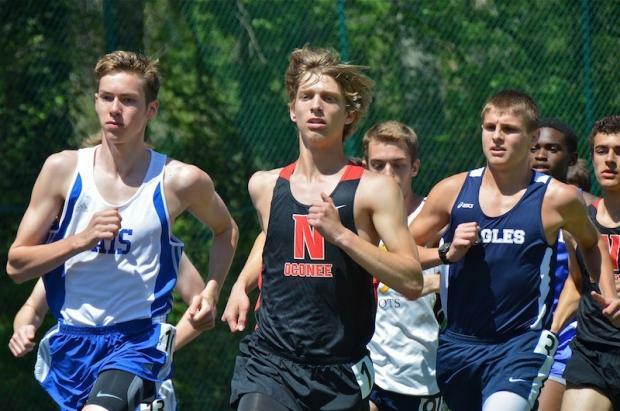 Thomas Moore of North Oconee started the 800m conservatively and then unleashed a blazing fast second lap to win in 2:00.47. Grady's Richard Davis took second in 2:01.57, with Austin Joost third in 2:04.06. Uduak Wilson of A.I.S. 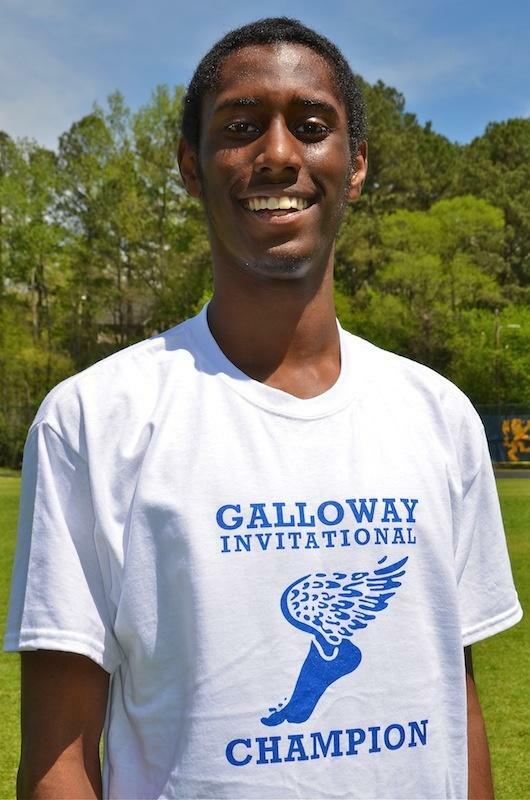 was proud to wear the Galloway Invitational Champion shirt - earned by winning the 200m Dash in 23.99. Scots Jack Walz and Gus Goldman took 2nd & 3rd in 24.42 and 24.88 respectively. 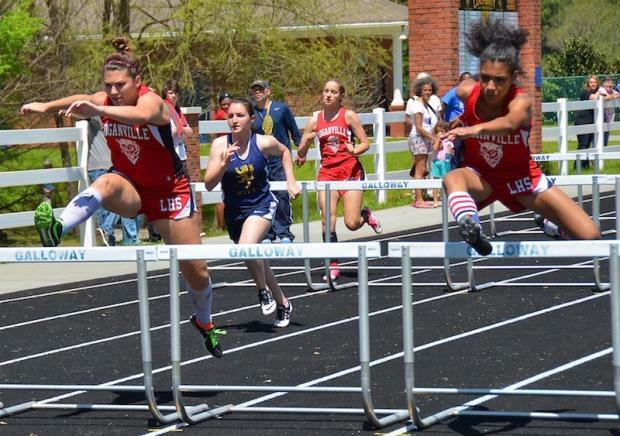 Shari-Lee Cullingford used power and determination to add the 300m Hurdles to her 100m Hurdles win. A.I.S. Teammates Hannah Branch and Julia Schaeffler took 2nd & 3rd in 55.24 and 57.70. 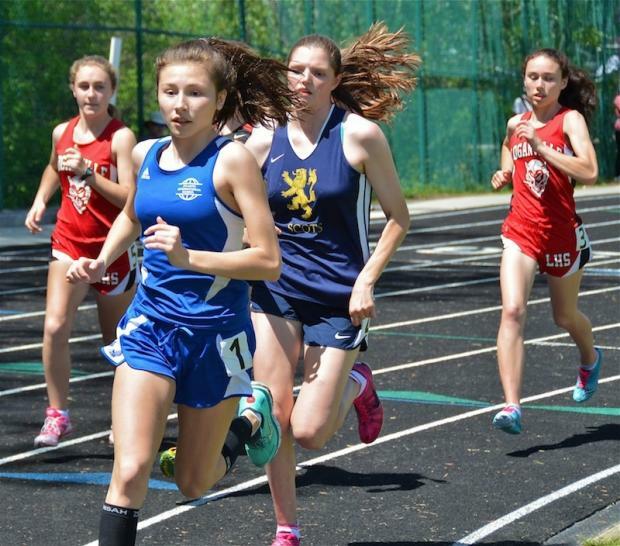 Helen Williams (1) added the 3200m win to her 1600m victory from earlier in the day. Scots' Caroline Henry was the runner-up, with Heather Beavers (3) of Loganville in third. Williams' time of 11:07.23 was her best this season. 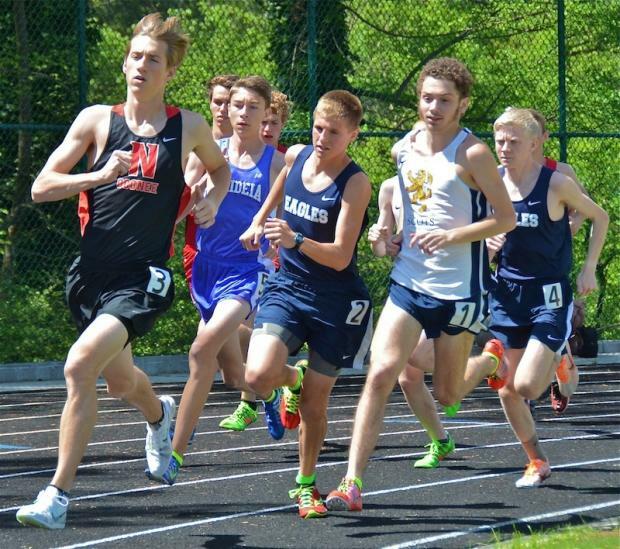 Tyler Jones (3) of North Oconee, Chase Kennedy (2) of the East Jackson Eagles, Reilly Friedman (1), Griffin McCauley (5) of Paideia, and Noah Hulett of East Jackson (4) rounded out the top five in the 3200m. 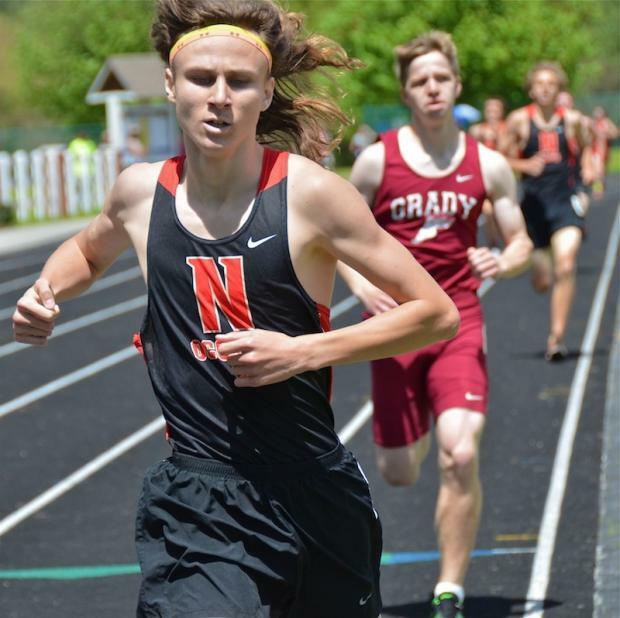 Jones' time of 9:31.88 is a North Oconee School Record - Congratulations! 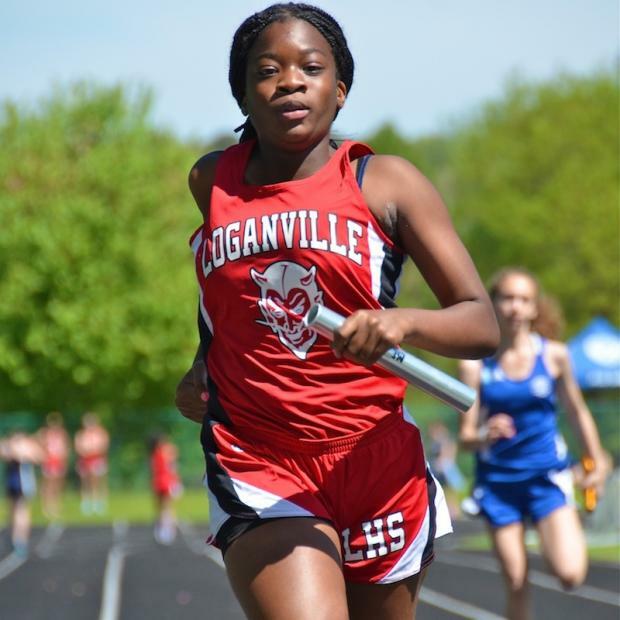 The Loganville "A" Girls 4x400 Relay Team dominated with their time of 4:18.05. Atlanta International School was second, Loganville "B" third, and Galloway fourth. 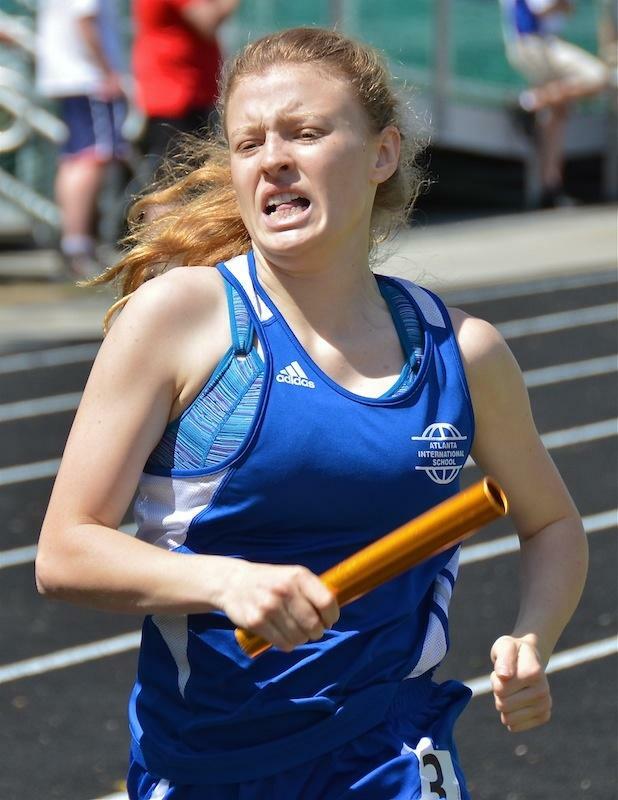 The face of determination - The Atlanta International School claimed the runner-up spot in the Girls 4x400. 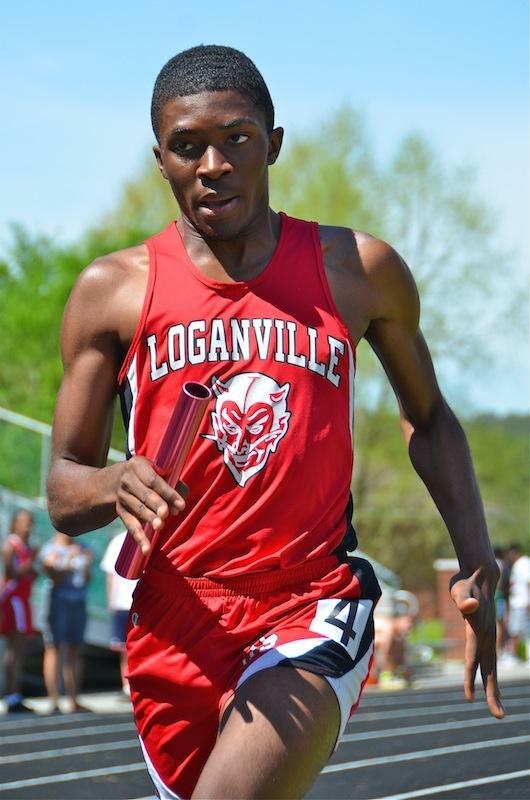 The Loganville "A" Boys 4x400 Team earned another win for The Red Devils. Galloway "A" was second, Loganville "B" third, and Galloway "B" fourth.